Around the world, more and more people are thinking about the environment when they make purchasing decisions. Wood buyers are no different. They’re increasingly looking at where the wood they buy comes from and the harvesting practices used by their suppliers before they make any decisions. Worldwide, 84% of wood buyers say they’re concerned about where their wood comes from, according to an April 2014 survey by Leger, one of Canada’s best-known market research firms. When buyers were asked to name the three most important factors influencing their wood purchasing decisions, both sustainability and certifications scored highly. In fact, only price, quality and availability were more important. Sounds like they’re probably a lot like you – using a variety of factors to decide which products to buy, looking for the best quality at the best price and using environmentally-friendly options. Increasingly, though, environmentally-friendly options are becoming the baseline. That’s good news for Canada. According to the 2014 State of Canada’s Forests Report, over 153 million acres (about 61,916,903 hectares) of forest in Canada has been certified by a third party as being sustainably managed. That’s more than any other country in the world and more than 40% of all the certified forests in the world. That’s not the only good news for Canadian forestry. Here in Canada, our forest laws have high compliance rates, according to the Yale study. Canadian provinces have formal programs that measure compliance and the Yale researcher found that those programs were some of the most thorough in the world. It’s important because rules do nothing if they aren’t followed and if governments don’t have the resources or mechanisms to enforce them. So, it should come as no surprise that Canada enjoys one of the best reputations among the buyers of forest products. 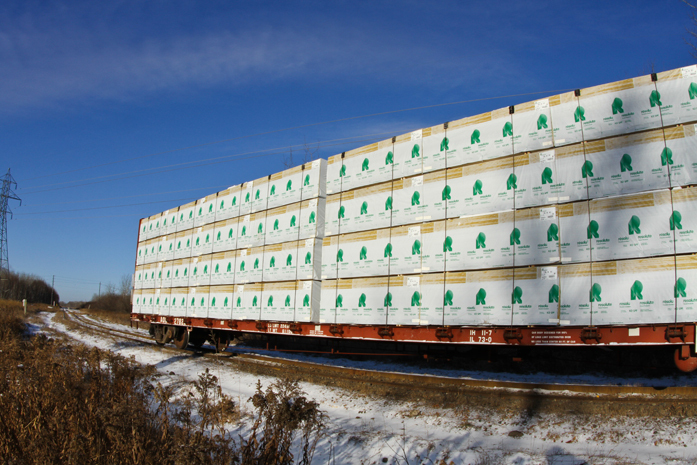 A full 71% of buyers surveyed by Leger said that they think Canadian forest product suppliers have “better than average” environmental practices. That reputation is improving ̶ 85% of buyers said Canada’s environmental reputation was “average” or “better than average,” a 20% improvement over 2010.